Blogger is a famous and largest free blogging platform. Blogger has lots of features which help us to develop and create an amazing blogs. No doubt few years back their was lot of difference between WordPress and blogger. As we can use WordPress as self hosted so it was more flexible because many plugins are available in market. 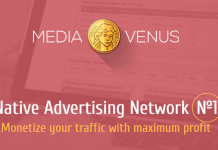 But Now Blogger has introduced many features which help to design an amazing blog. Blogger is part of Google Inc. So all the blogs are hosted on Google servers. So we don’t have direct access to database. That’s why which can do major changes in our blog. We can design our blog in blogger as we want to do We can design SEO friendly, responsive and different layout designs. I already listed many best responsive blogger templates. So today we are going to introduce another advance gadget for blogger users that is Social Content Locker Widget. By using this widget we can lock any of the content in our blog post with social icons. This plugin basically consists of Jquery. There are many different styles available for this widget. We can change icons, style as we want to do. But the main purpose of this plugin is only content locking with social button. So here is the way to Add Social Content Locker Widget On blogger blog. How To Add Social Content Locker On Blogger. How To Add Social Content Locker Into Blog Post. 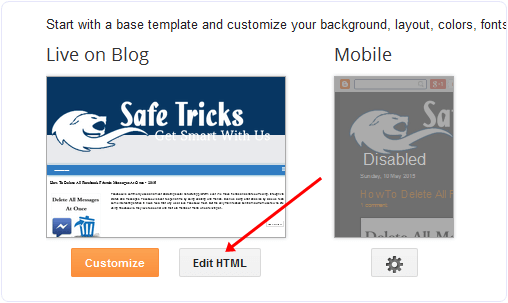 First of open your blogger blog and then visit to template Section. Click on Edit HTML >> In template coding search with Ctrl+f for </head> code. After searching </head> code paste below given jQuery just above the code we had searched. If the same jQuery library is available there then don’t need to paste jquery again. After installing jquery now we need to add codes for Social content locker which are given below. Copy the below given code and paste them just below </head> Which we had searched in previous step. Replace the codes by matching color codes given to text in coding and also in below settings. To Change Order of Button Simple The Values With each other. Simple change the button and their order if you want. After Replacing URLs Next step is to replace text for heading and message which will appear on your social locker. Further Step is To Change the Theme of Social Content Locker. From the above codes replace the value for theme with below given codes. After adding and replacing values for all the above given codes successfully. 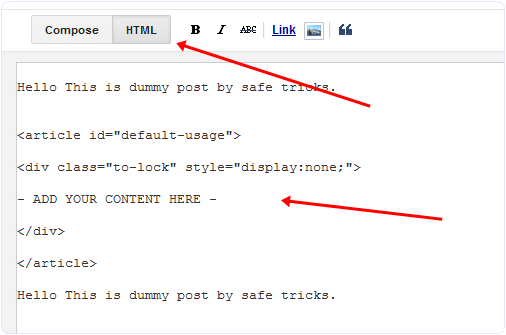 To add social locker within your blog post, copy below code and paste them into HTML tab of blog post. Now Replace the the – ADD YOUR CONTENT HERE – code with the text, URL, image, video or anything which you want to place behind the social locker. Then publish your article and see Social locker working live. If anyone want to access locked content He or she have to share on any of the listed network below accessing content. In conclusion, we hope you enjoy this article and also like Social Content Locker for Blogger. If you face any kind of difficulties while implementing above given codes feel free to ask us in comments.